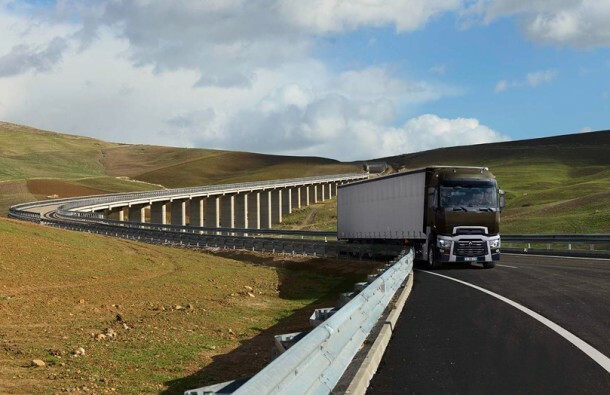 The introduction of the Renault Trucks range opened with the expected Renault Trucks T Euro 6, the new tractor unit made for long distance haulage. 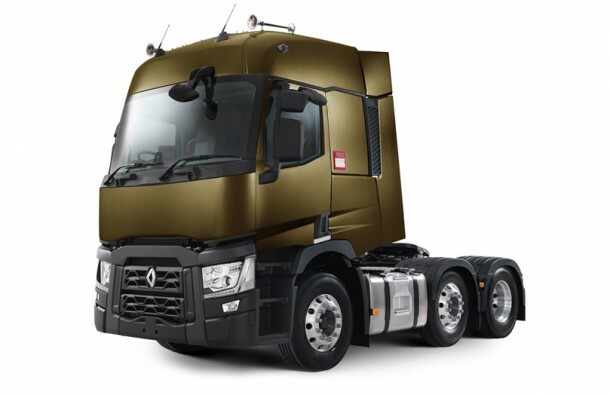 Bye to the Premium and Magnum, we are entering the “R/evolution” by Renault Trucks ! 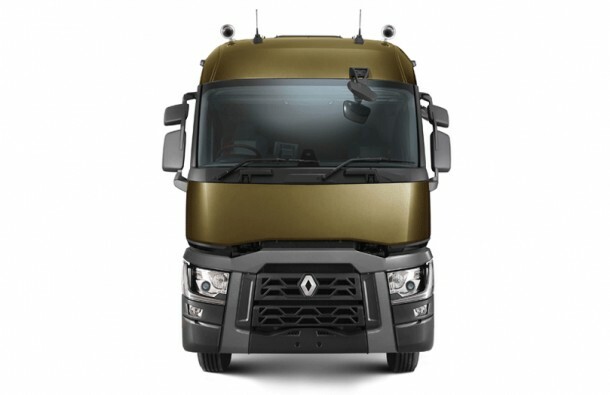 The idea that led to the development of the Renault T is simple : combine the energy efficiency of the Premium Road with the driving comfort and prestige of the Magnum. 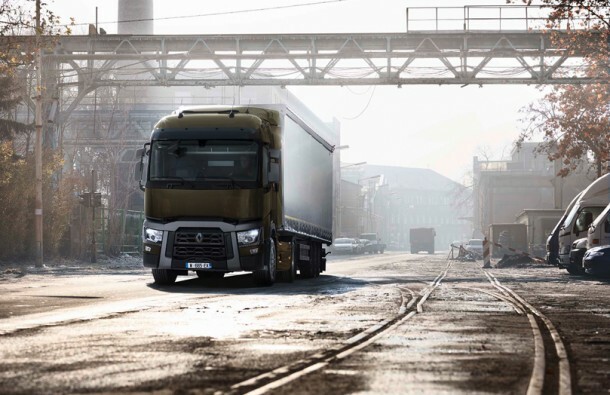 The result is the Renault Trucks T available with different cab configurations : Day Cab with a standard roof, Night & Day Cab, Sleeper Cab and High Sleeper Cab for large cab. The Sleeper Cab also has a raised roof and the floor of the High Sleeper Cab is flat. 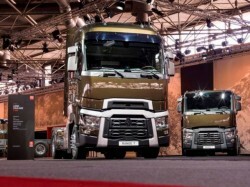 Two Euro 6 engines are available for the new Renault Trucks T : the DTI 11 with power outputs of 380, 430 and 460hp and the DTI 13 with power outputs of 440, 480 or 520hp. 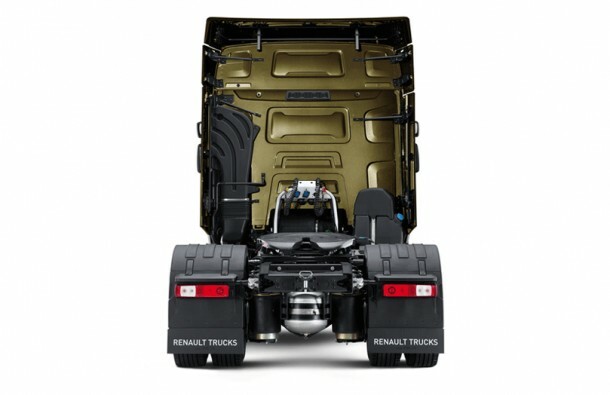 The aerodynamics and the new power train help the truck be more fuel efficient. 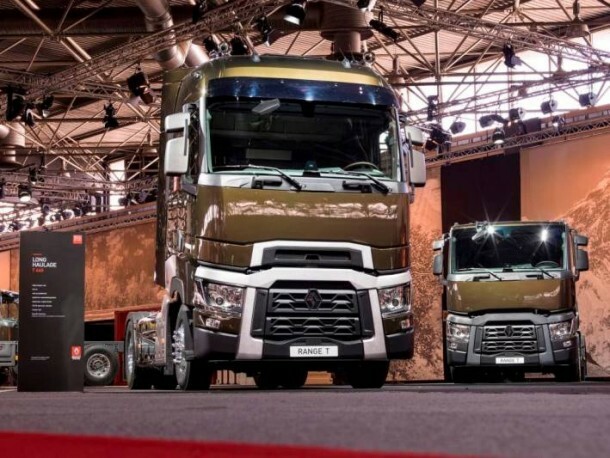 The new trucks and tractors units by Renault Trucks are equipped with the robotized Optidriver gearbox and a fuel tank that can contain up to 1475 liters of fuel. 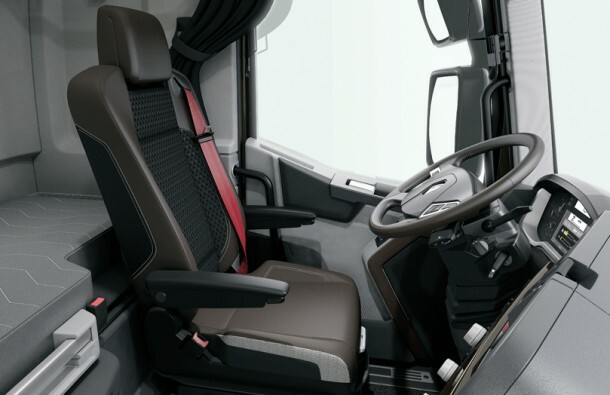 News from Renault T trucks and tractors units : a 24/7 button on the dashboard gives the vehicle’s localization and transfers the vehicle’s technical information in case of emergency. 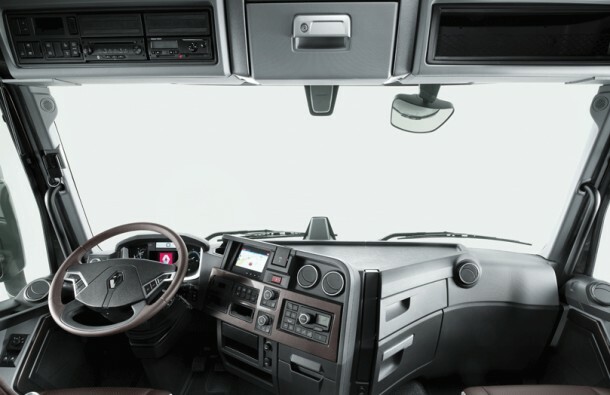 The Optifleet system for the fleet management is optional. 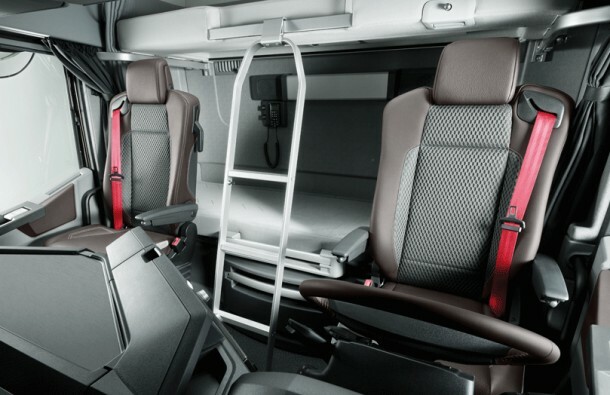 The driver’s comfort has been thought of with the new seats made by Recaro, an economic dashboard equipped with a 7’ screen, useful storage units and different driver assistance systems.